Introducing GFC, the latest race team and chassis in the American market. Gary Carlton is a name synonymous with karting. After virtually his entire lifetime as a driver and influencer in the industry, this heavy weight is making moves in the world that only someone as versed as he could. The longtime, championship-winning racer is stepping into the shoes many a driver have before him and starting his own team. The difference? The karts under his tents won’t be from any manufacturer you’ve heard of before: Carlton is bringing his own chassis to the track and trying to change the way karting is approached in the process. Doesn’t sound like an easy task? Well Carlton would know a bit about that. Fairy tales start off, “Once upon a time,” and karting stories, “His father heard about karting and, together, they decided to give it a go.” Like with the reality behind most fables, he’s not shy about being up front with not being a natural off the bat. Soon though, something clicked, and the young Carlton began to win races left and right throughout Northern California. By the time he was a Junior, he took to the national level with SKUSA with support from the Jeffrey family of KLS Racing, and left with a Western Division title in the Semi Pro 125 division. It was his first attempt. Once there was one national series [referencing a time when SKUSA was competing to be the top national series] and everyone jumped onto the Stars of Karting band wagon, karting started taking shape again in the states, and I was able to get hooked up with Kosmic North America and Swedetech. Being that both of their shops were literally next door, I started working summers, and anytime I had off school to help pay off my bills. At this point I got to spend a lot of time with someone that really changed my life not only in racing but as being a more rounded person, Reine Persson of Swedetech Racing Engines. He didn’t only let me work in his shop by doing all the jobs that no one else wanted to do, but he started teaching me about karting engines. Seeing as my house was a couple hours away from his shop, I started sleeping on an air mattress on his living room floor, so I could work at his shop as much as possible. He taught me everything there was to know. Let me disassemble engines, then eventually assemble engines. Once I had that down, I started porting and tuning in the engines along with dyno tuning them. I can honestly say at 16-17 years old it was where I learned the most about mechanical engineering than I have from any other person in my whole life. And for that, I am forever grateful for what Reine and the whole Swedetech family has done for me. His knowledge and aptitude off the track, coupled with the work ethic of someone who would do just about anything to keep racing, garnered the attention of teams as Carlton became a young adult. He even went so far as to sleep on an air mattress at the factory during his time at Trackmagic in San Francisco in the early 2000’s. 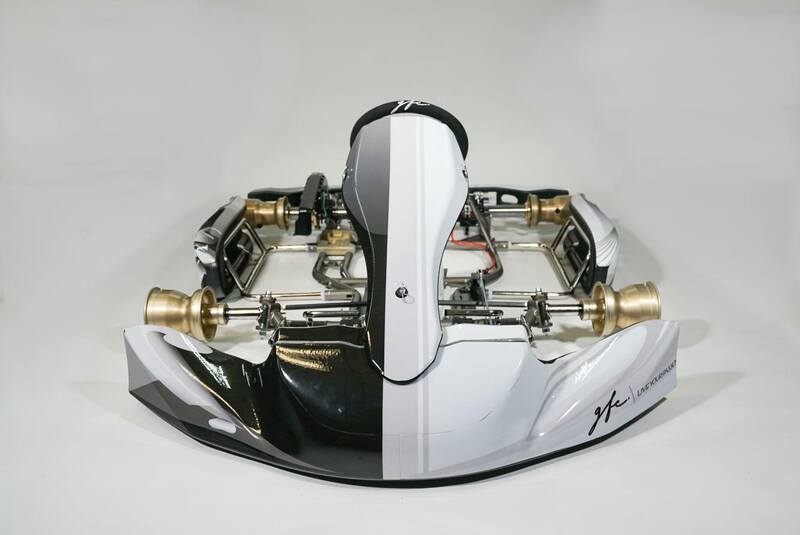 It wasn’t until mid-championship hunt, when Trackmagic announced its closure, that Carlton hooked up with CRG; which would eventually lead him to the European karting field. Until recently, and apart from a two-year hiatus from driving as a coach and mechanic with OGP in Florida, Carlton had been continuing to make a name for himself in the karting world throughout Europe. In 2015, Kart360 went to Modena Racing Engines in Northern Italy for an interview with Carlton, as well as a tour of the facility, where he was working to develop engines. Imagine if Bruce Wayne was in the cave with Alfred, tuning out his own bat mobile: it was kind of like that. Kart360: What’s your perspective on the new karting team having come from so much experience in Europe? Carlton: I want to build a team that had more to offer than just the services at the race track. I want to help drivers build themselves while they’re at home by teaching them techniques that can help them prepare for the upcoming events. Being either physical training, learning how to work on their own karts at home, or mentally strengthening themselves to become more rounded drivers. Kart360: So your track tent will proverbially extend farther than all those before it? Carlton: Our services at the track will include the normal tuning, coaching, and parts availability like everyone has. What will make us stand out is the mental and physical side of driver development and with drivers understanding more of the technical side of their own karts. Everyone knows that the best karting drivers out there know their own karts like the back of their own hands. So why not offer to teach the drivers the technical aspects of karting? Then on the physical/mental side of things we will work with the drivers to help be prepared for the long grueling weekends we have in karting. We have recently partnered with Hammer Nutrition to have their products in hand for all the drivers along with a physical therapist to help drivers with proper stretching, warm up procedures, and massages after each day. Kart360: What do you see as far as innovation for the karts themselves? Carlton: As for [that], we are doing it in a way that we take into consideration not every driver is the same and want to develop a kart that will be adjustable for every drivers’ certain style. With that also comes simplicity with our models. We think too many options can get confusing for customers and only have one model of chassis for its respected categories: being single speed [SS31 30mm] and gearbox [GT14 32mm]. The biggest thing for me is to develop drivers not only in just driving fast but to have a greater understanding of how to make themselves better in every aspect. With my experience I want to guide drivers down the correct paths to make them more complete and rounded drivers with feedback, feeling, and race weekend management. Those of us that have been long-standing karting fans and participants welcome change and the advancement of our sport. Will Carlton and his team be able to shake up American karting as we know it? We’ll be watching and following along as they attempt to. Carlton and TEAM GFC, featuring GFC karts, will be present at and have two remaining spots open at ROK the Rio as well as throwing their hat into the SuperNationals XXII ring this November, with four spots currently open. 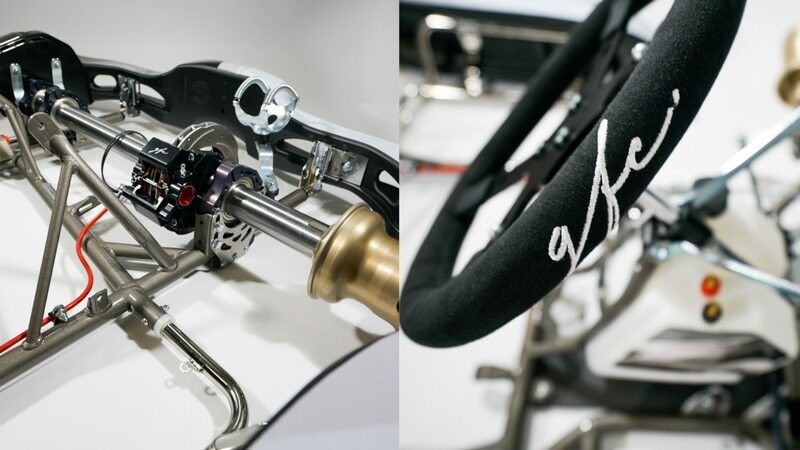 TEAM GFC will have TaG and Shifter GFC karts available, with a Cadet chassis coming available in 2019. Two drivers on new equipment gave onlookers a riveting final to end ROK The Rio 2018.